You know the drill. You’re at a party with your mates. You need the toilet. You open the door… and your friend is giving birth? 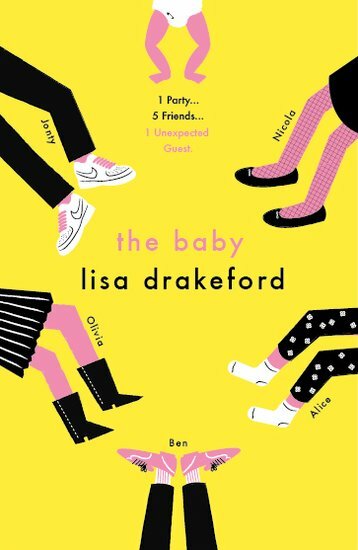 Five teens, one baby and lots of secrets! It’s just a typical birthday party – until a tiny guest shows up. It’s a massive shock – even for Nicola. She’s not ready to be a mum! But she’s not the only one with troubles. Olivia has her bullying boyfriend, Jonty, to worry about. And Ben is battling his own secret struggles… Unique, amazing stuff from a brand new author so great she’s already been shortlisted for a top book prize. Life as you knew it will never be the same after The Baby! Shortlisted for the Times/Chicken House Children’s Fiction Competition 2015. This book contains mature content. HL590L Lexiles are the global standard in reading assessment. They are unique as they are able to measure a child and a book on the same scale – ensuring the right book gets to the right child at the right time.